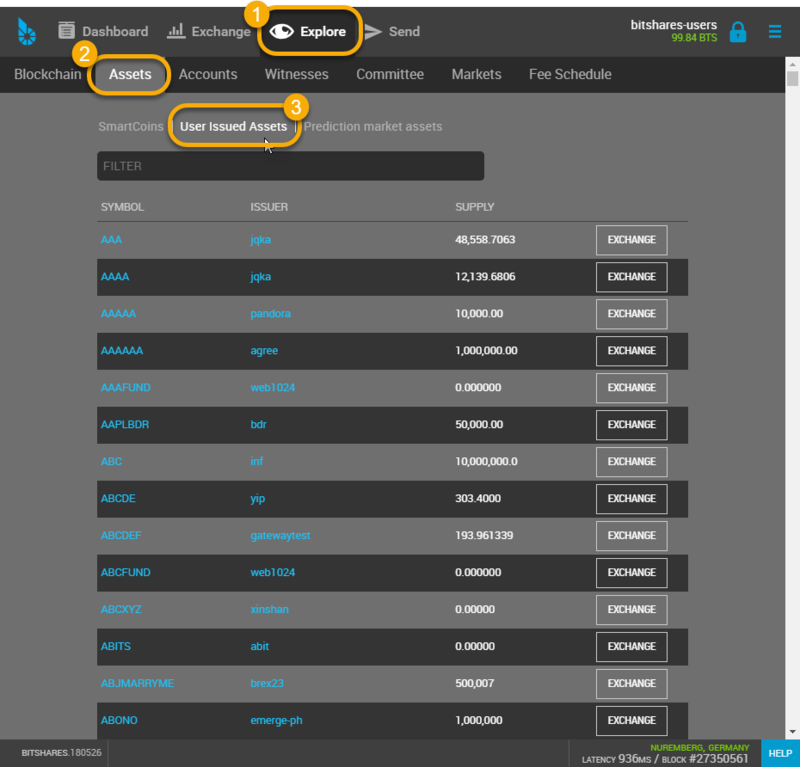 To allow transaction fees to be paid in the native asset, a core exchange rate is required at which a customer can implicitly trade the UIA into BTS from the asset’s fee pool. The Symbol defined here will be reserved in the system for your assets. One the asset is created, the symbol cannot be changed again. This is also a permanent setting and denotes the maximum amount of shares that can ever exist at the same time. Please consult the Networks fees in the explorer! Symbols with less than 5 characters are very expense. Please consult the Networks fees in the explorer! description can be used to let everyone know the purpose of the asset, or an internet address for further information. Short Name is also a permanent setting and denotes the maximum amount. 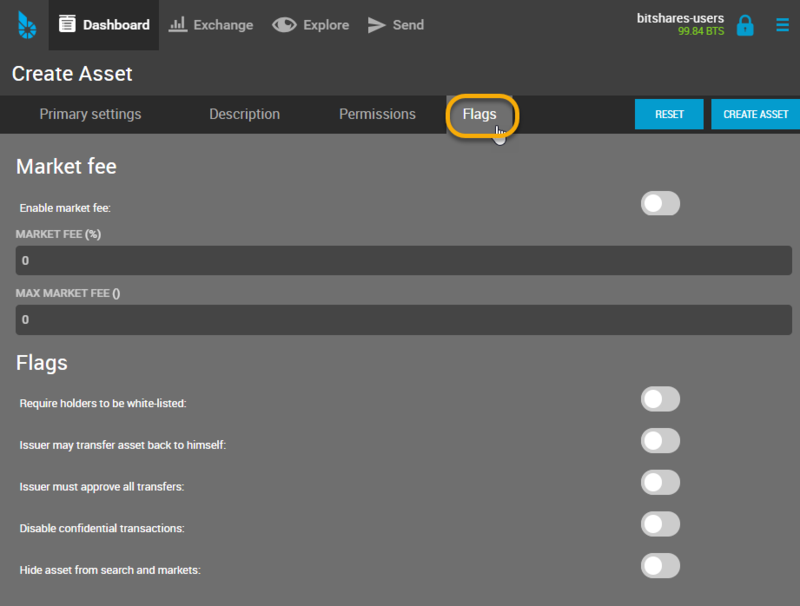 Even though the default settings should be fine for most UIAs, we have the option to opt-out of some available features. (By default, or permissions are enabled). Once a permission has been set to false, the permission cannot be reactivated! 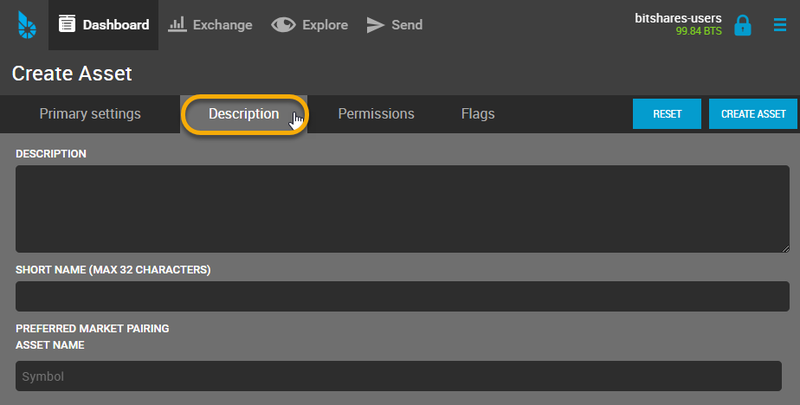 The flags are used to actually enable a particular features, such as market fees or confidential transfers. 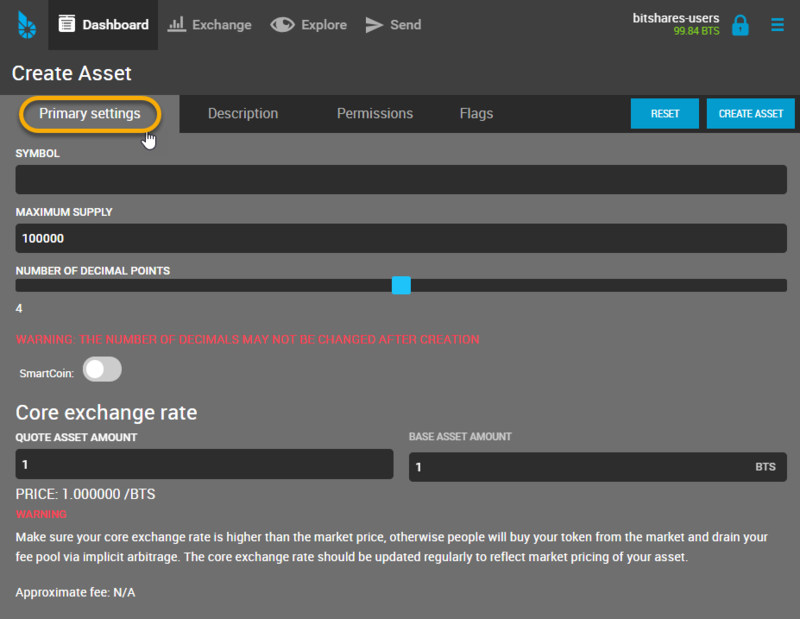 If we have set the permission to have a market fee, we can enable the market fees here and set a percentage and max. fee. We here also can enable the requirements for users to be white-listed, enable confidential transfers and give the issuer the power to withdraw its asset from customer accounts. The asset creation fee depends on the length of your symbol. 3 Character Symbols are the shortest and are rather expensive while symbols with 5 or more characters are significantly cheaper.